Nestled right in the heart of Ireland’s rugged southwest, Shannon International Airport is your final destination following a rather pleasant transatlantic journey to the northwestern tip of Europe (think a movie or two, a meal and a nap). On landing, your first major decision will be whether to travel north or south. Don’t worry; distances are short enough to manage both, even within a week. Accents (and landscapes) can change dramatically from town to town, though getting from place to place is reassuringly straightforward. Ireland boasts a modern road network that complements the winding boreens (roads) that meander through the wilderness. Essentially, it ensures you can get ‘lost’ without, ever getting, well, lost. Limerick city just minutes away from Shannon, provides a charming city base for exploring the wilder landscapes on its doorstep. 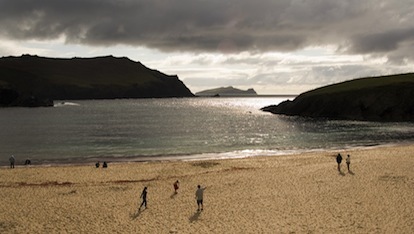 Should your inner adventurer be keen to get going immediately, then a two hour drive will leave you in Killarney; at the heart of the Ring of Kerry. Killarney is a picturesque town with a long, proud history of looking after visitors from abroad. Expect welcoming hotels and guesthouses, friendly jarvey (horse and cart) drivers and spectacular natural backdrops. To the south-west of the town is Killarney National Park, lying at the foot of the wonderfully named McGillycuddy's Reeks. 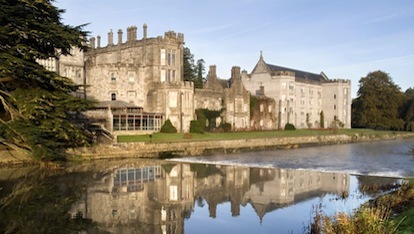 Muckross House and Gardens, a 19th century mansion, forms the focal point of a sprawling park that contains mountains, lakes, woods and waterfalls, plus no shortage of wildlife. The profusion of pink and purple Rhododendron bushes is nothing short of stunning. 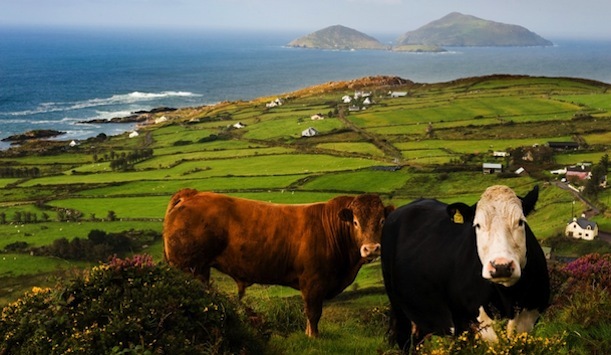 Once the spectacular inland sights of Kerry have been taken in, make for the Atlantic coast, even venturing further south to West Cork and the Beara Peninsula. From whichever direction you approach it, the first glimpse of the Atlantic is likely to take your breath away. Even visitors from the east coast of the US, used to cliffs and coast, will be taken aback at the wildness of the Atlantic ocean. It’s raw, it’s invigorating and it lasts for miles. The western areas of County Cork, Ireland’s largest county, contain plenty of eye-catching ocean views and plenty of winding roads. A trip out to Mizen Head will leave you on the most southern tip of the entire island, with seaviews that regularly include cameos from seals, dolphins and even whales. 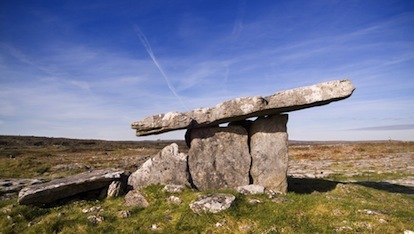 A short drive up the coast will get you to Clare and the different scenery, activities and accents that come with it. The Burren and Cliffs of Moher UNESCO Global Geopark provides a type of landscape not seen anywhere else on the island; 100 square miles of grey limestone in an Irish version of a lunar landscape. Visit in April and May and it’s alive with color courtesy of blossoming wildflowers and wild orchids. For the remainder for the year it’s just beautifully tranquil. County Clare also boasts some of the finest surfing in Europe (though every Irish county with a western shoreline will justifiably make the same claim), with Lahinch being one of the most hospitable haunts for waveriders. After a day bracing fresh air and seaworthiness testing, the focus switches to Clare’s lyrical heart; traditional Irish music. Any Clare pub worth its salt will host a traditional ‘session’ or two each week, they provide a great backdrop to a meal or a few drinks after a long day out on the waves. On the road again and the Cliffs of Moher, sheer and spectacular, stretching out for five miles. 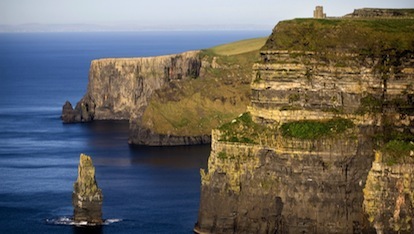 Over 700ft at their highest point (marked by O’Brien’s Tower) the cliffs invite you to pay full attention to your senses – no matter what the weather. A visitor’s centre and a cliff-top walk makes this an essential stop on a visit to the south west. After all that wilderness, set a course for the city of Tribes. 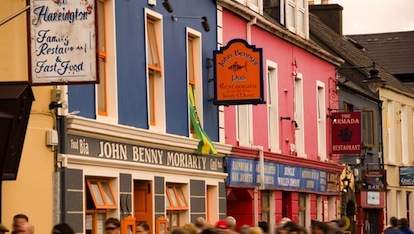 Galway city is the west of Ireland in urban clothing: steeped in history, full of creativity, welcoming and with plenty to do. 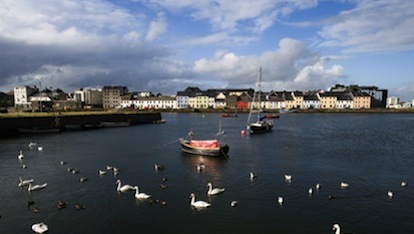 Try some famous Galway Bay oysters after a walk around the old city walls and landmark Spanish Arch. And, as with any pit stop along the coast, you will find plenty of welcoming restaurants and pubs. Decision time comes again: will it be the straight road back to Shannon Airport and home or a trip further north into the landscape that Oscar Wilde described as having a ‘savage beauty’, Connemara? That’s the thing with the west coast of Ireland, there’s always another spectacular sight a little further up the road. If you’ve got the taste for exploring and want to venture further north, Connemara, Mayo, Roscommon, Sligo, Donegal await you.